So, I've been behind quite a bit on posting - but I want to talk a bit about why this year has been a slower year, even with school. 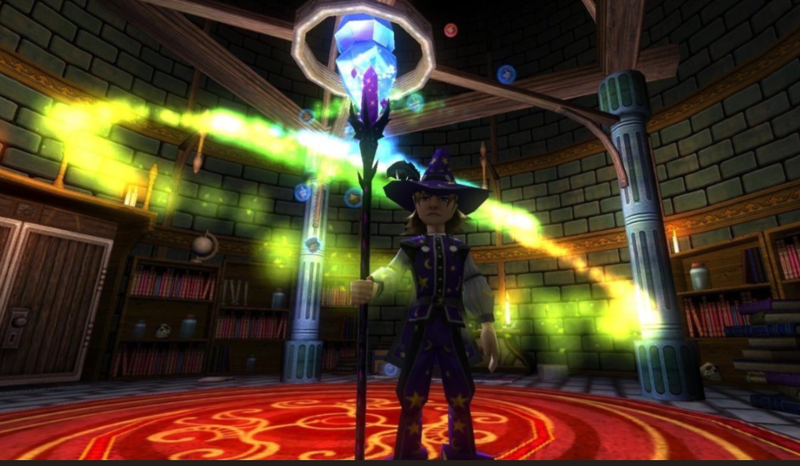 As many of you know, I started blogging about Wizard101 in May of 2010. I've made nearly 1,500 different blog posts - which are technically full of my opinions. Out of every year of blogging, this year has been the year I've been afraid to give my opinion on my website, until now. As many of you know, this year has been such a crazy year online. However, it has also been a crazy year offline - and I've had many personal issues as well. Some have used that to their advantage and it took me a long time to realize, they only want to use my emotion over factual information. These emotions led me to believe that I'd be criticized by everyone, including Kingsisle for posting my thoughts on my website. However, there have been many old community leaders that shared their opinions/thoughts on their websites and even their channels. So I'm going to be 100% real with you starting again this year. I love being positive, but I can't be positive every second of the day, as I am only human. So, let me express a few points as I'll do with certain topics and not just this one from now on. I've made quite a few posts over the past seven years to promote inclusion and recognize bullying as something that should never occur. The word "Bullying" is not a word that anybody, including myself, wants to see or say because we don't want to see it. We have to recognize that just because we don't want to see it or have never seen it, doesn't mean it's not occurring. Bullying does occur in this community and every game community. We already know ways to handle bullying - that is Ignoring and Blocking. However, being scrutinized and having personal beliefs attacked because I recognize bullying takes place in this community is not right. Recognizing It: Pointing out that bullying does take place is no reason to get offended. It takes place and there are few who recognize it and try to do something about it so less of it occurs. I applaud those who do recognize it takes place, mostly because, if we have our back turned when someone is being bullied and yelling our name for help, we'll help. As a side note: I do agree that anyone who is suffering depression should visit for help. There is absolutely nothing wrong with getting help - I've had depression in the past and I asked for help. I'm a much happier person today. If you recognize it, don't be afraid to use your voice to do the right thing. Scrutiny: Being examined for everything you say is normal. I've come to realize that, especially this year that people will always find something wrong with you because they do not like the good that you're doing. If you're scrutinized for standing up for what's right - it shows that your voice is being heard. I've actually felt at times like I shouldn't stand up against bullying - how is that even a good thing? I'm not sorry when I say this, but now, I don't regret doing so. If people are offended by my words of inclusion over the words of death threats, then that's not my fault. There's no way to convince people who judge a book by its cover. We can only hope they realize one day what they've done wrong and admit to it. I am willing to admit I've made many wrong approaches in the past of handling this bullying. I actually used my emotion to lead instead of facts even when I had them. Even though I've been scrutinized for just about everything this year - even though it's never happened in the past as much as this year - well it shows that the truth hurts, but even if it does, it's still the truth. True Friends: I've recognized that I've found my true friends after a lot of things that have occurred this year. Sure, it's an online game, but Bullying is no laughing matter as it's been played out to be. I've found that there are many great people who don't want to see any of this bullying. We are tired of it, to be honest. Through this, I've found true friends! Those who do recognize that we have a problem. If you're not willing to try to solve a problem, it'll never be solved. If you try, you'll eventually solve it even if it takes awhile. I've been extremely thankful to those for many kind words. I am only glad you recognize the problem. Even if you never attend events or read my posts or anything.. If you recognize the problem we have, you are in my opinion, truly a great friend of many. I started talking about recognizing the problem on the True Friends bullet point above. If you recognize we have a problem, we can start Ignoring and Blocking those who are willing to support it and/or participate in such behavior. Who supports it though? Anyone who participates in any form of bullying towards anybody. It doesn't matter who it is, if you do it, you're part of the problem. People blaming the victim of bullying is a common theme in the community as well. Any Rumor/Slander, Namecalling, Exposing of Personal Information, Discrimination, and Death Threats are strongly CONDEMNED by me and many people around the world. Many in the community may feel it's justified, but many more around the world disagree with that. Personal Information: There have been leaks of personal information across the community and shouldn't happen. It is sad seeing this occur to anyone and I do mean anyone. It's not right. If you do that, well, I feel bad for you that you think it's okay to do this. It's not good to do this to anyone. If you're willing to do this to gain attention, you won't be able to make the true friends that you have the potential to make. Ignoring/Blocking: Ignoring and Blocking is an excellent feature across the board. There will always be people who are willing to try to argue but can't without personally attacking you. The Block/Ignore feature is a lovely feature that I've used, especially in the past few weeks. Don't feel that they've won if you block them - because if you bully or support bullying, that's not winning. That's losing. But, recognize that they're only human and make mistakes as everyone does. If they accept that they also make mistakes, they should be welcomed and not scrutinized/bullied. Many of you have heard that I've wanted to leave many times in the past year. This has been due to horrible things that occur, but I've recognized something else that I really didn't recognize before this year. There are a lot of people who do good things for people as well. I believe that everyone is capable of doing good things. However, there are some that are able to do more bad things than good. It is sad seeing how this is praised by the community and others, but there is nothing we can do about that. The words of this post may even be twisted. And I don't care if they are twisted into meaning something else because, at the end of the day, I know what this post means. This post was made to express my opinions and to make my voice be heard. I'm glad to announce that they have been heard by many people around the community, even those who may have not known me before but decided to attend the events to attack us - which is going to change with our future events, that will now include Hall Monitors to keep everyone comfortable. I hope you all are able to take something with this post. Many people may even make this post Controversial, even though I don't see how this post could be controversial since it includes talking about acceptance and inclusion of everyone and declining the bad decisions. We will just have to accept that. I will only say this. I have made posts on this website since May 10th, 2010. I am in no way asking everyone to blindly follow me. I do all of this for free and have been for years now. I am not perfect and have made many mistakes.. One thing I'd never consider a mistake was joining this community! I really do love this community and I don't like seeing anyone being hurt. I have changed though. I am proud to say I'm not letting those who scrutinize me and bully me (while calling it criticism) to get to me. I want all of you to know that I'll never adapt to that sort of behavior. We'll always do what's right whether trolls like it or not. We won't fight and sink down to their level. Instead, we will stand up for good things in the community and support those who are doing good things! I don't care if people think this post is pointless. I say, go ahead and criticize me. I'm doing what is right and I am proud to say that I won't ever stop. We're doing the right thing and we should always continue to do that no matter who tells us we're wrong. If good people stood down to bullying and discrimination, nobody would have never accomplished the good things that have occurred in the past 50 years! Do what's right. Always. Don't forget to always be you no matter what people say about you - they're only jealous that you're happy! They also deserve happiness and acting that way is not the way to go. Let's spread good around the community and all of the world. Hate Isn't Born, It's Taught.